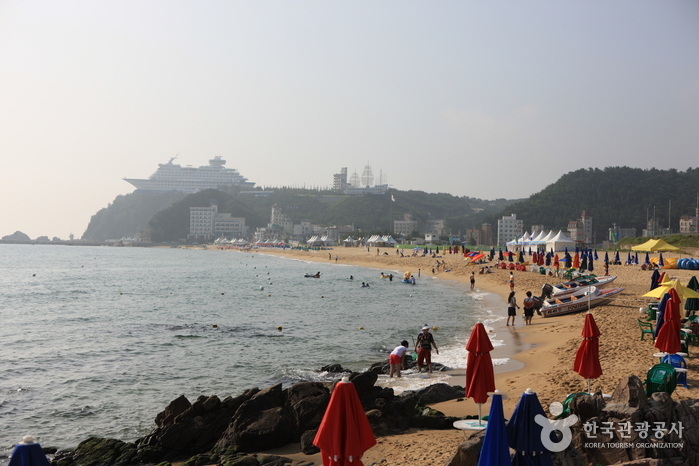 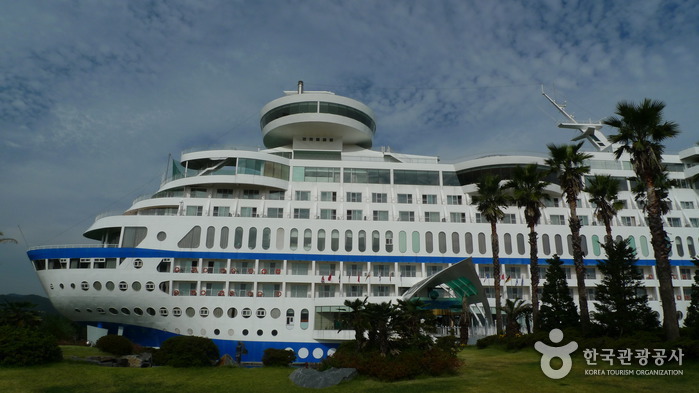 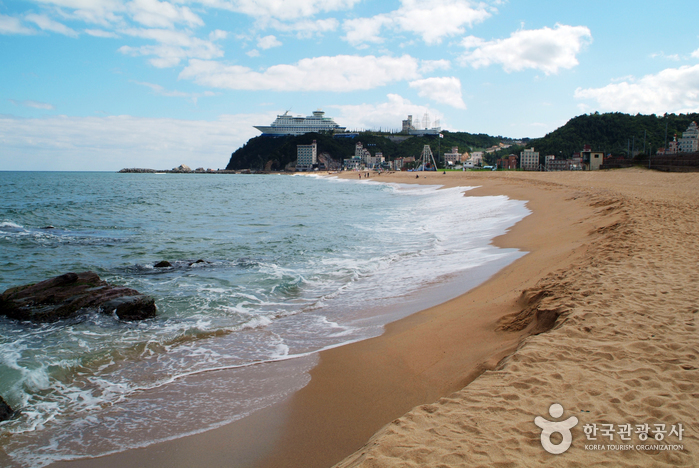 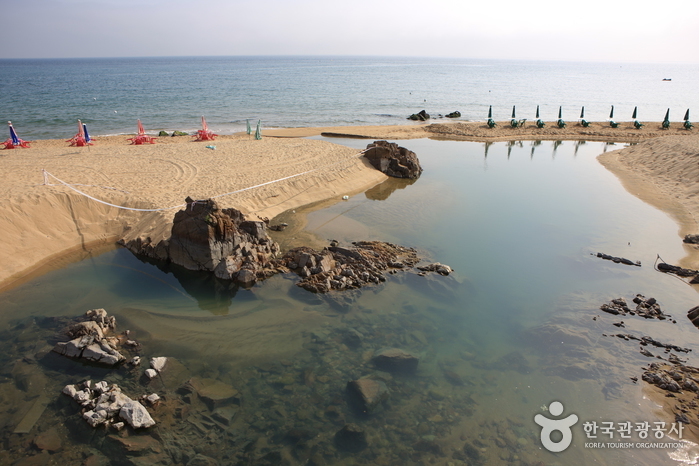 The nice, sandy beach stretches over 250m and has three major swimming spots: in front of Jeongdongjin Railway Station, at Moraeshigae Park, and at the Jeongdongjin Seawalls. 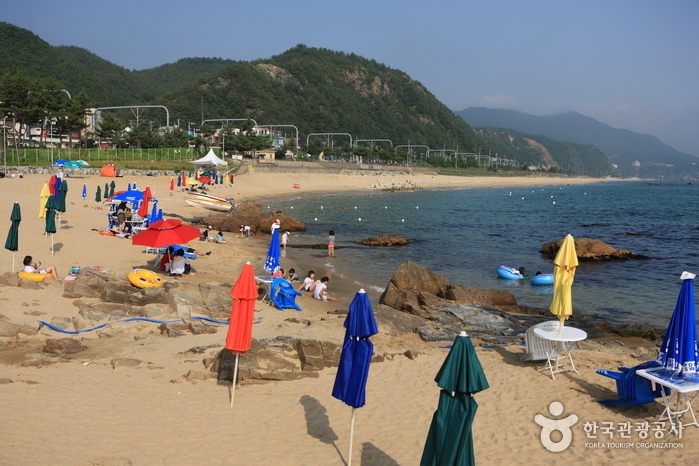 The spots near the railway station and at the park are more popular because they are spacious and easy to reach, with Moraeshigae Park having the added bonus of welcoming swimmers both day and night. 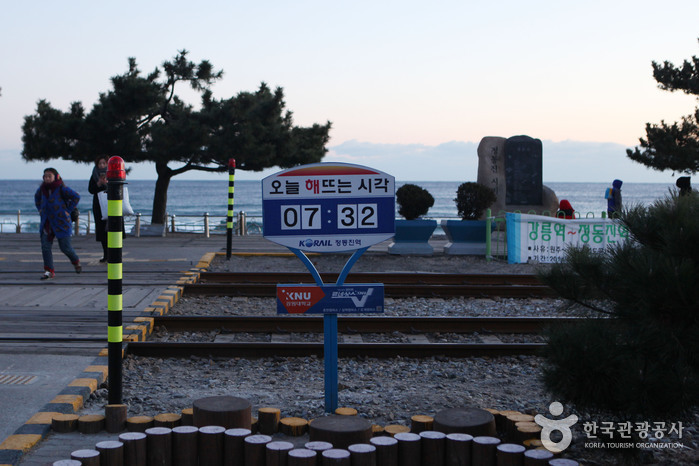 The numerous rocks in front of Jeongdongjin Railway Station are home to shellfish, mussels, sea urchins and sea mustard. 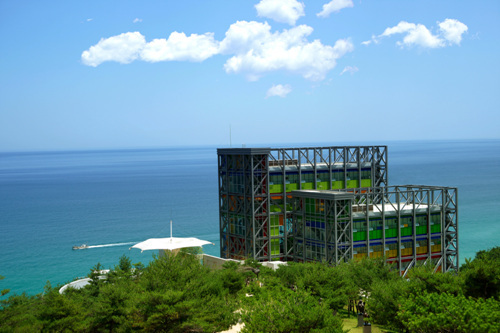 Aside from swimming, visitors can further appreciate the beauty of nature by checking out the Sculpture (Sunrise) Park and Heonhwaro, located to the south of the park. 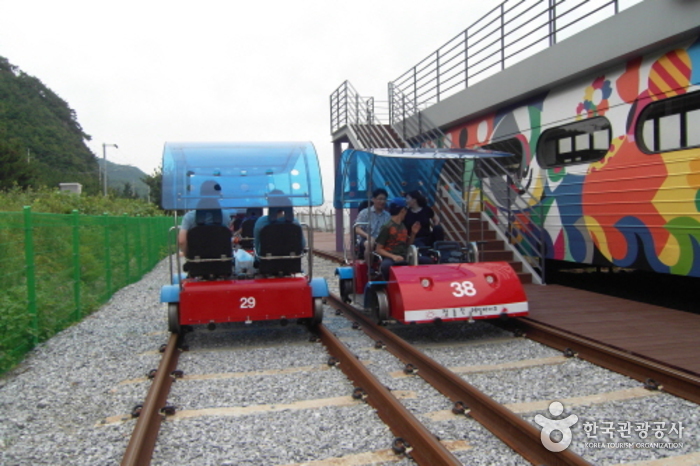 The Jeongdongjin Sunrise Tourist Train has become a crowd favorite as well, ever since its premier run in 1997. 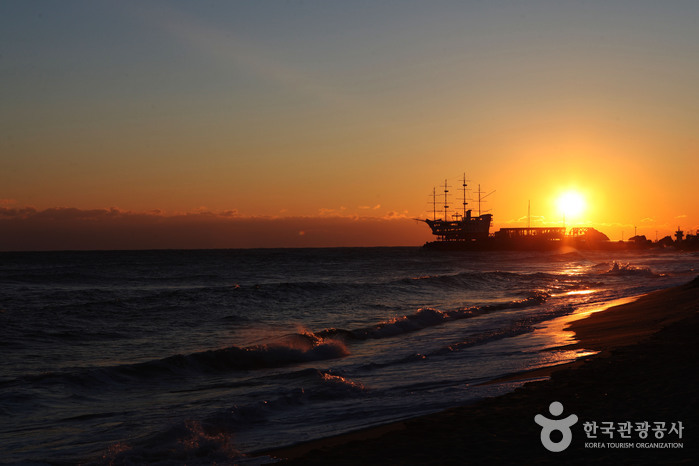 Despite the park’s many attractions, nothing can compare to its sunrise view. 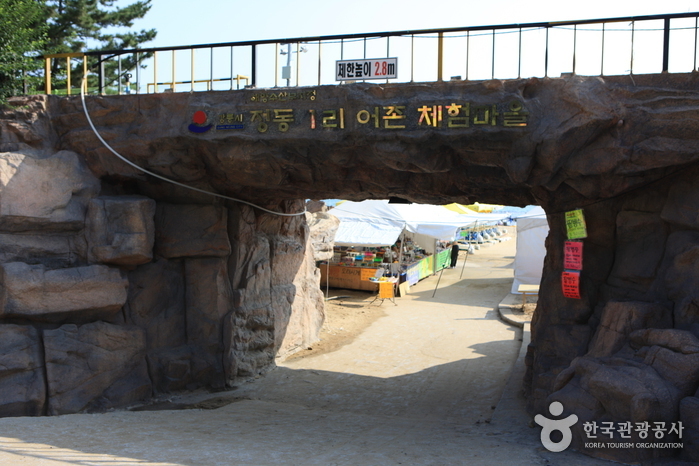 Many visitors to the park trek up to the summit of Mt. 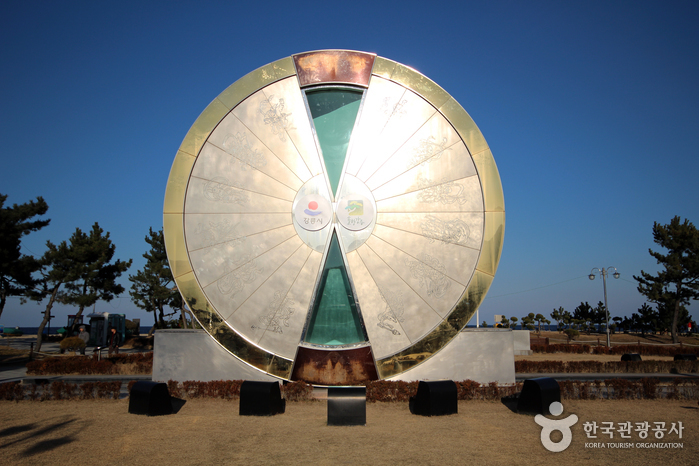 Goseong, located at the park’s center, to the Yeongin Pavilion, a prime location for catching the sun’s first rays. 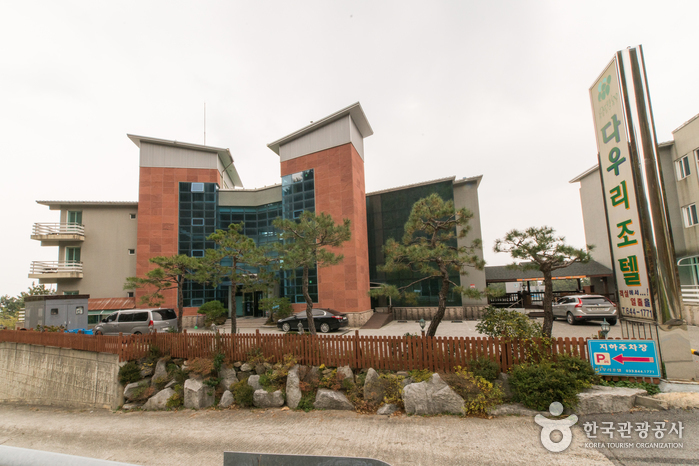 Restroom, changing room, shower stalls, parking lot, resting room, etc. 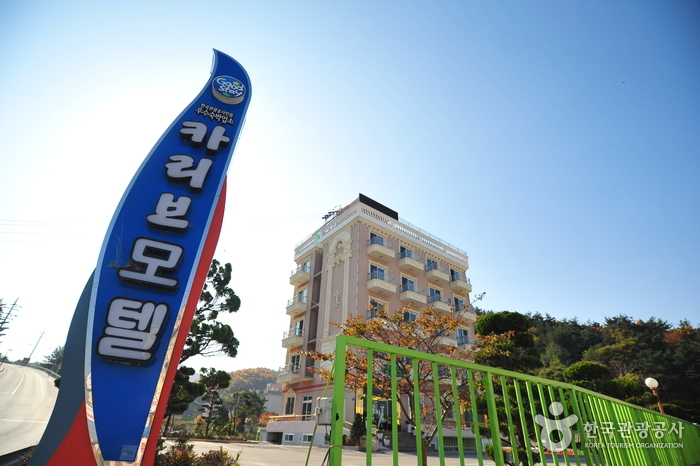 From Gangneung Intercity / Express Bus Terminal, take Bus No. 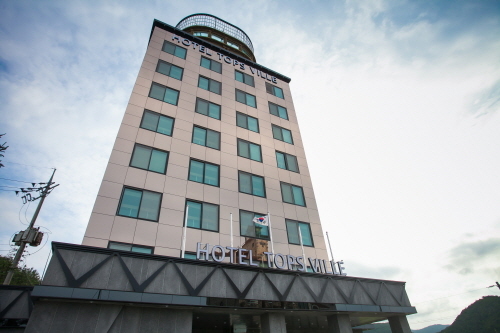 109. 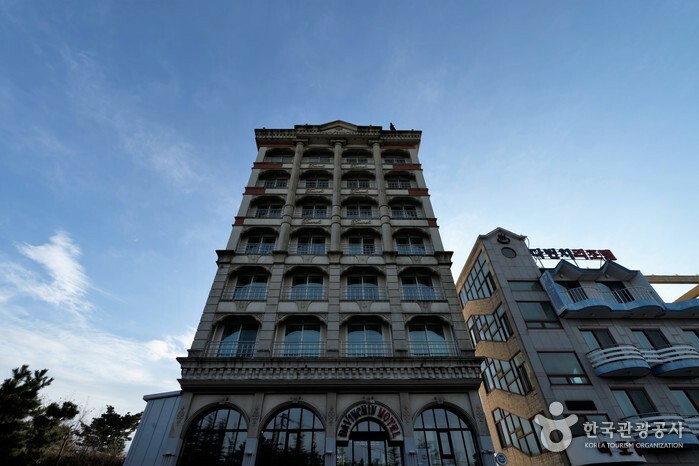 - Get off at Jeongdong and walk 300m. 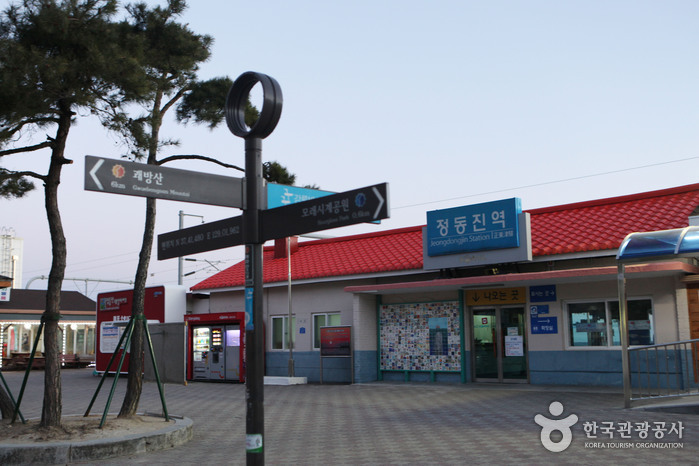 Take a train from Cheongnyangni Station to Jeongdongjin Station.